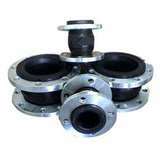 Our expansion bellows and expansion joints are fitted with carbon steel flanges PN16 or ASA150 as standard specification – other expansion joint specs available. Tie bolts and vacuum rings are also available. A semi-rigid aluminium ducting. It is bendable yet self supporting. Manufactured in the UK it is sold in standard lengths of 3 metres. Ideal for wood or gas heater ducting. Suitable to use as ducting with Eberspacher, Mikuni & Webasto Heaters. Sizes range from 40mm to 550mm ID. 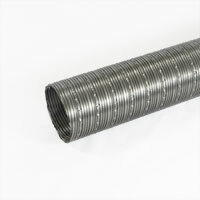 This is a Bendable Stainless Steel Ducting suitable for wood heaters and high temperature extraction and ventilation. A semi-rigid flue ducting. Can withstand temperatures up to 450Deg C.